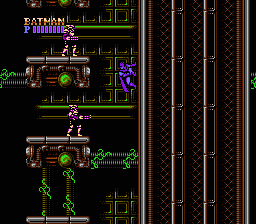 NES Batman (USA) in 09:21.93 by Aglar. The hero of Gotham City goes against the villain of Gotham City. His fists are more powerful than any weapon in the world, but he rarely kills anyone. It's not like his enemies can hurt him anyway. After all, he's the hero, and heroes are supposed to be invincible. Here Aglar has managed to improved the previous movie by 2.5 seconds. Enjoy the movie, and the excellent soundtrack and the graphics of this game. See this movie played back on a real console.